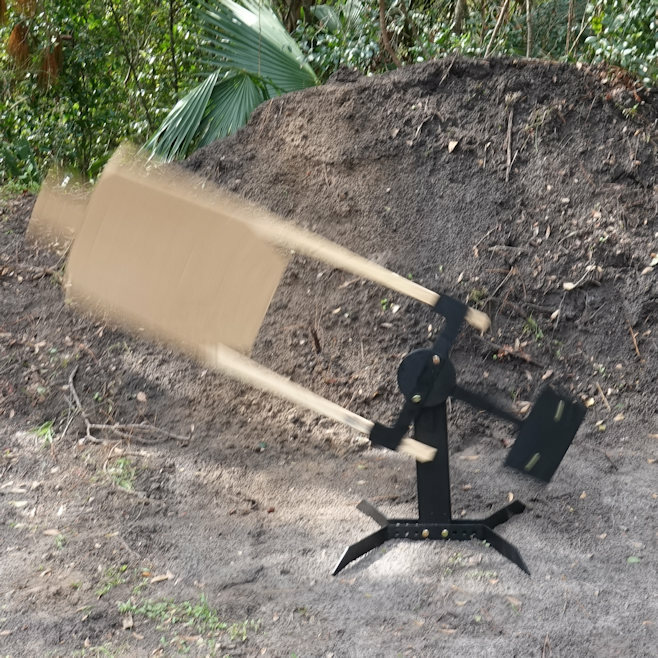 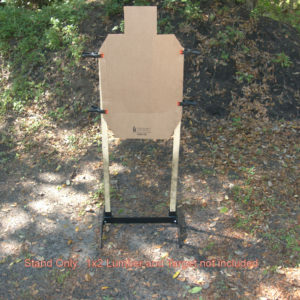 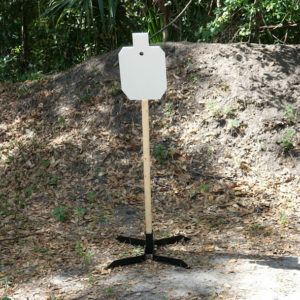 Portable 2x4 Target Stand Assembly from SItargets on Vimeo. 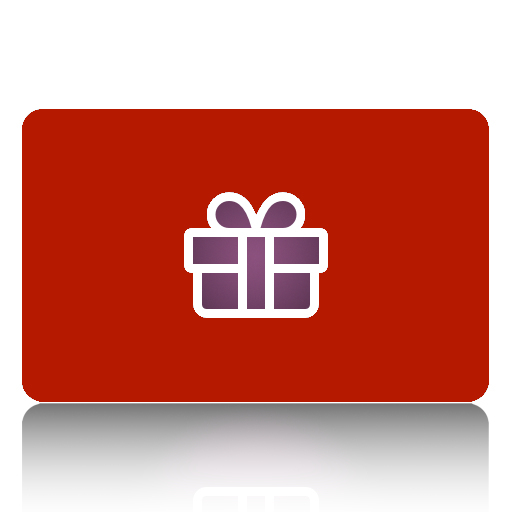 You asked for it — we made it! 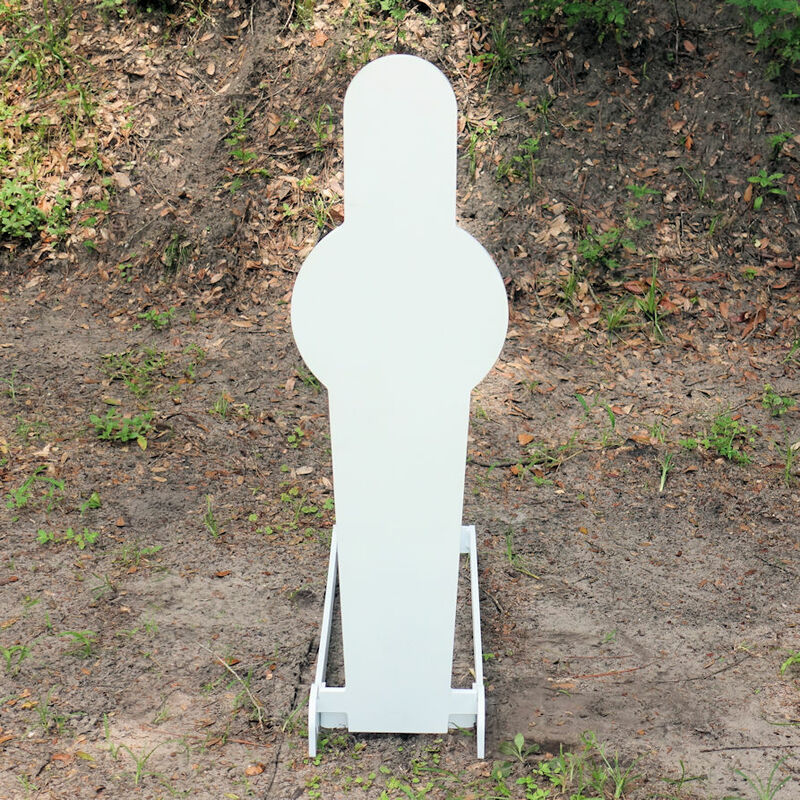 This great Portable 2×4 Target Stand is easy to set up and tear down for easy storage and hauling! 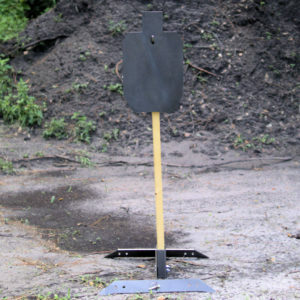 No matter what type of vehicle you drive you can take several of these to the range! 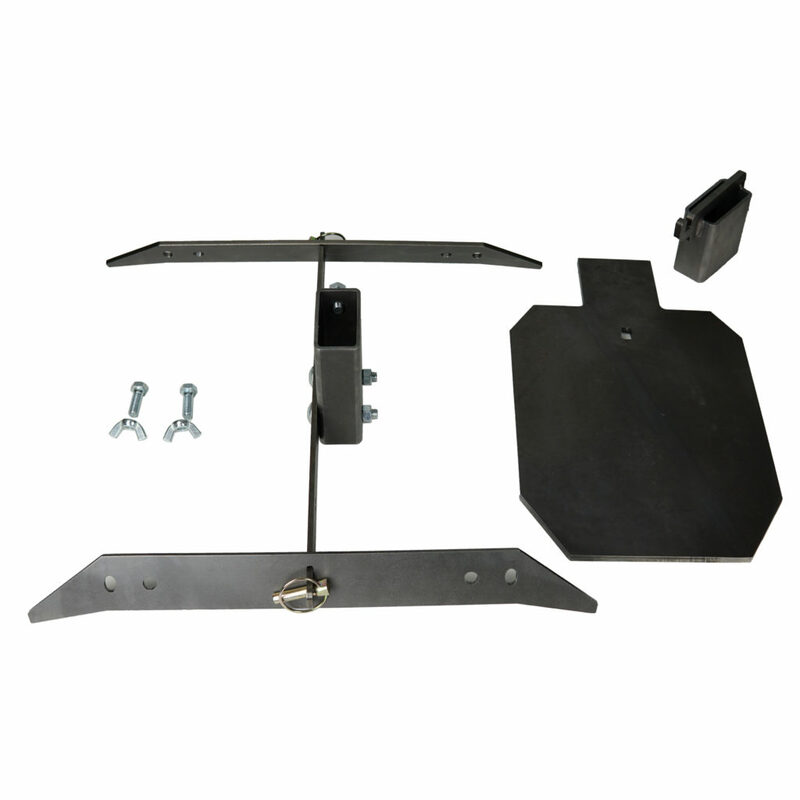 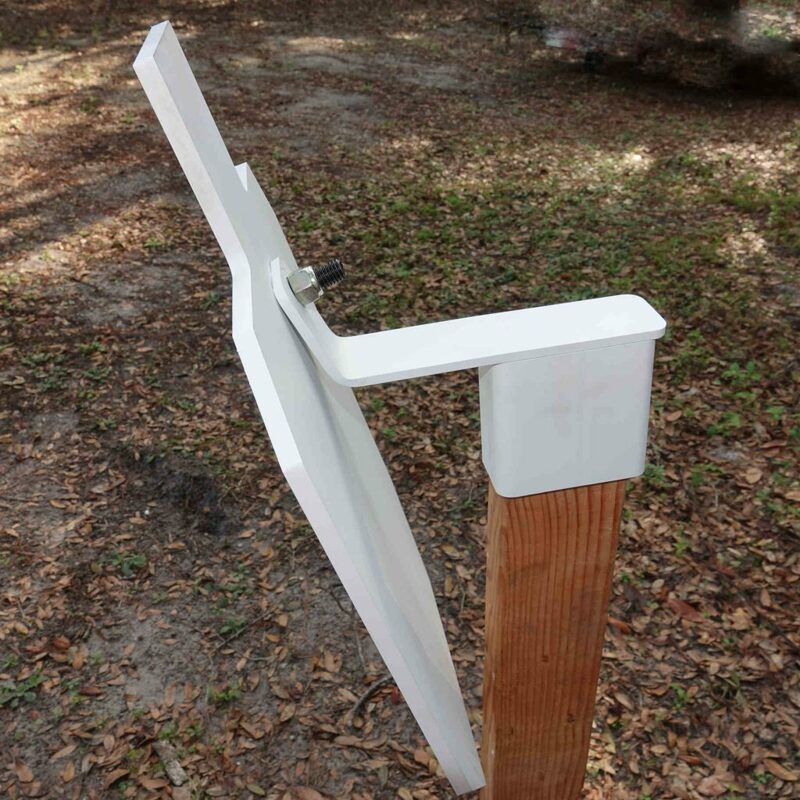 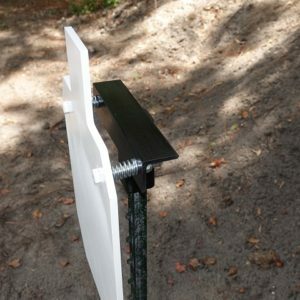 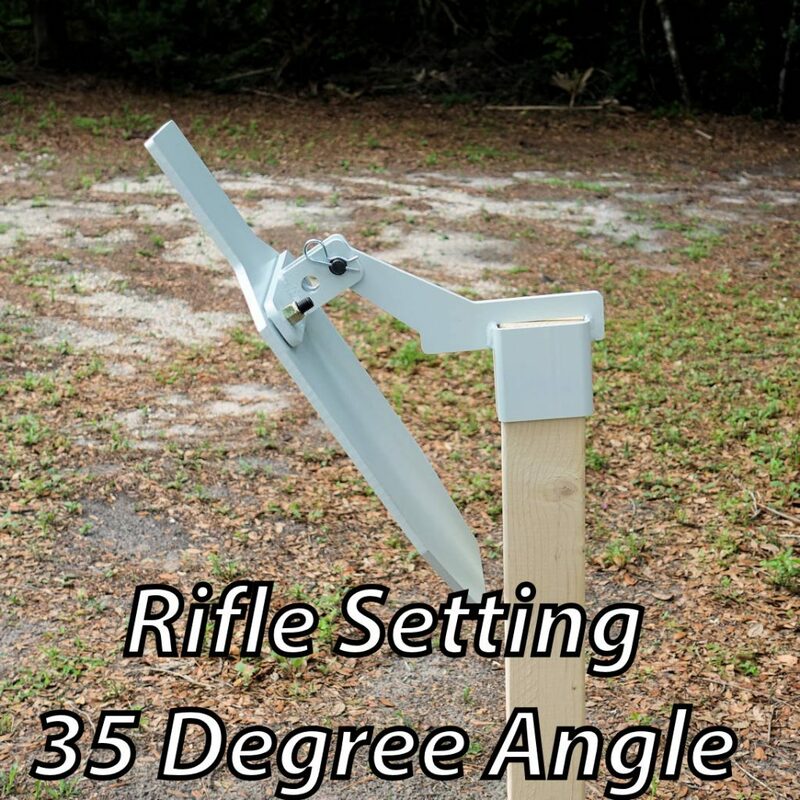 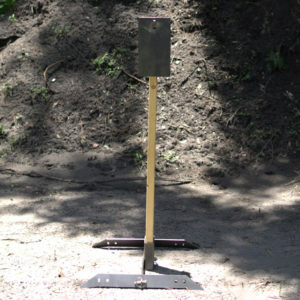 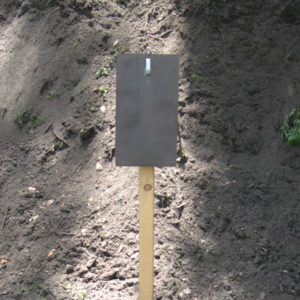 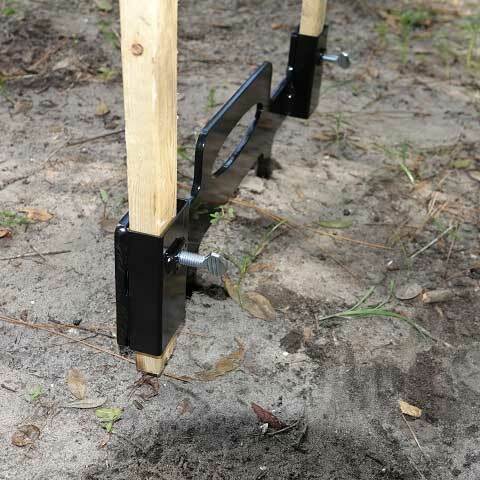 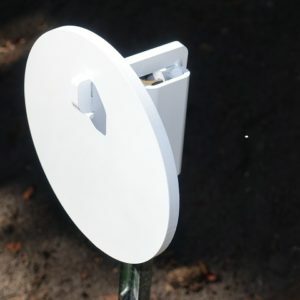 The portable target stand is made of heavy-duty steel and uses 3/16” upright and tightening bolt for 2×4 which reduces play at the base of the target. 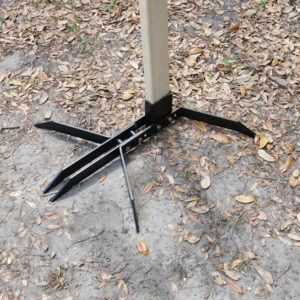 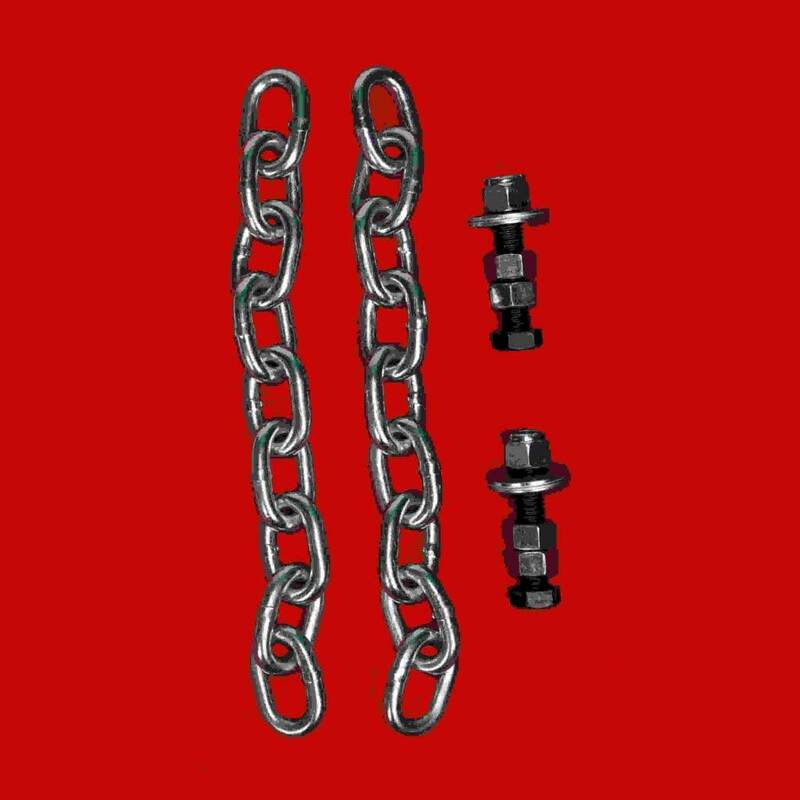 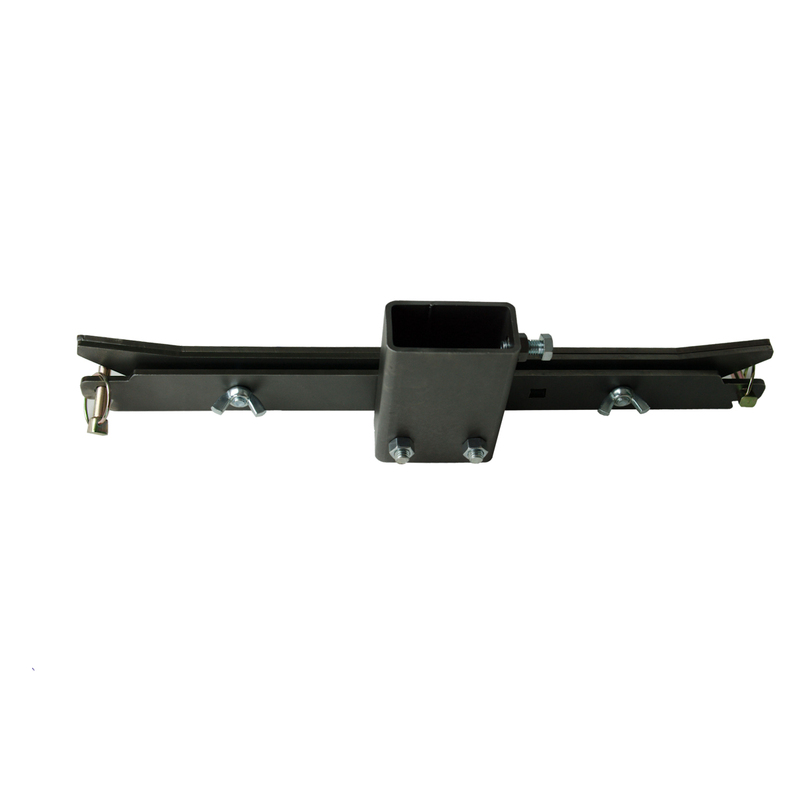 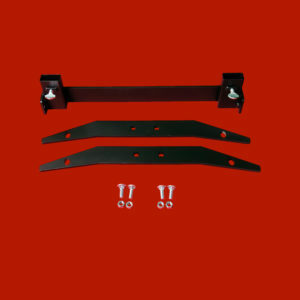 It measures 23 1/2-inch long, 23 1/2-inch wide, 6-inch overall height when set up and collapses to 23 1/2″ x less than 4″ by removing 2 lynch pins and fastening the pieces together with 2 wing nuts. 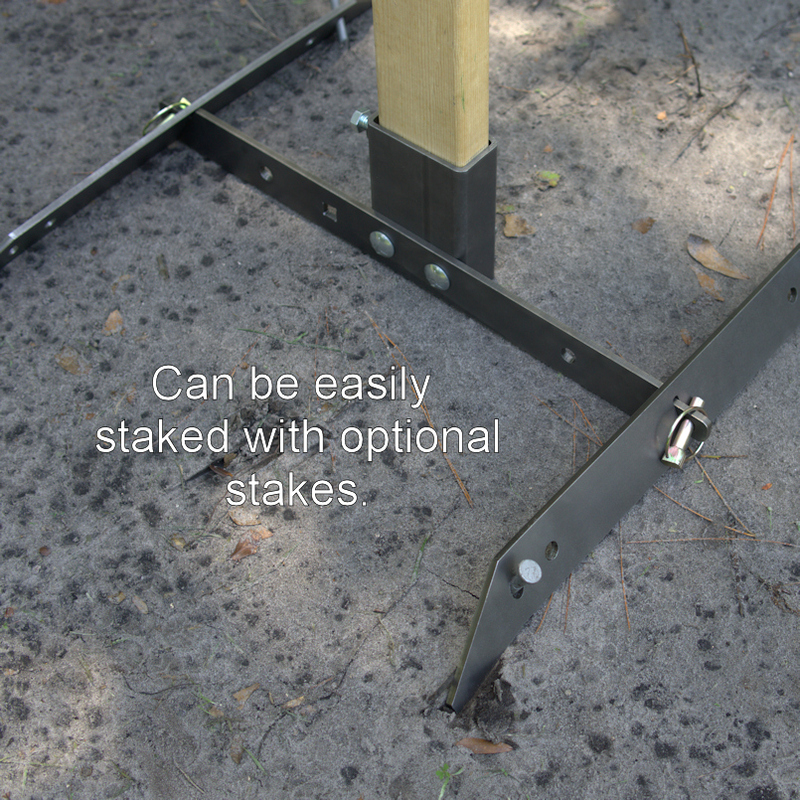 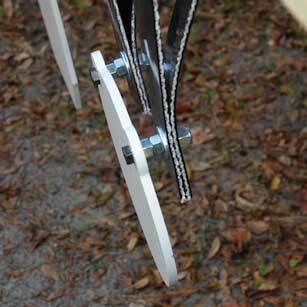 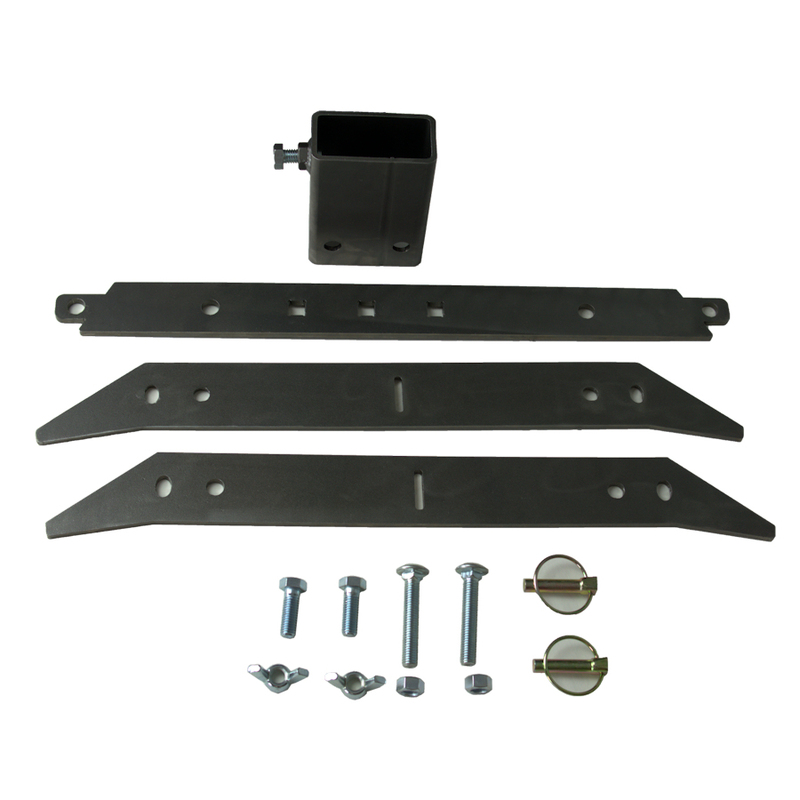 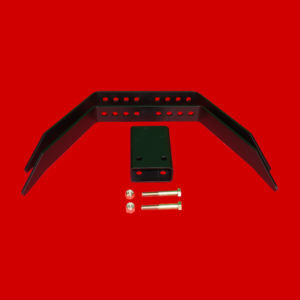 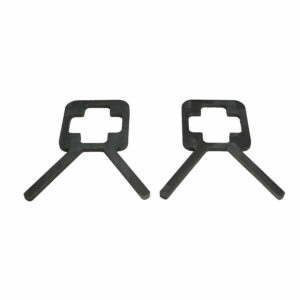 It also features multiple bolt holes so you can customize the position of the 2×4 mount. 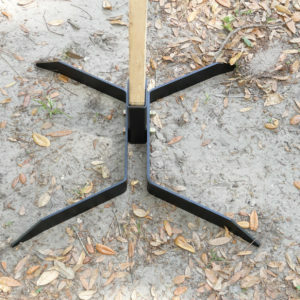 No tools required after initial assembly! 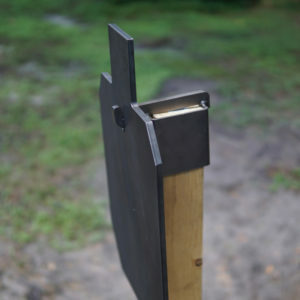 Note: 2 x 4 lumber must be bought and cut to the desired height (not included). When using magnum handguns and/or higher caliber rifles or shotguns, you may wish to add stakes for stability. 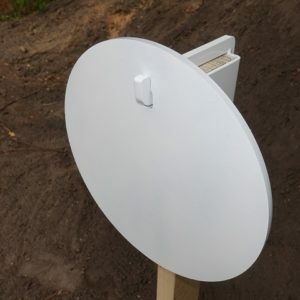 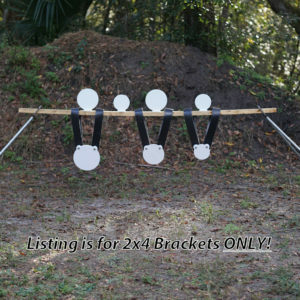 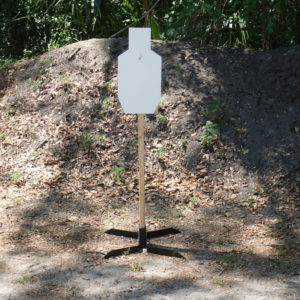 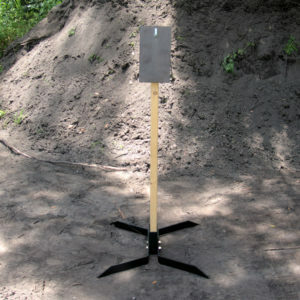 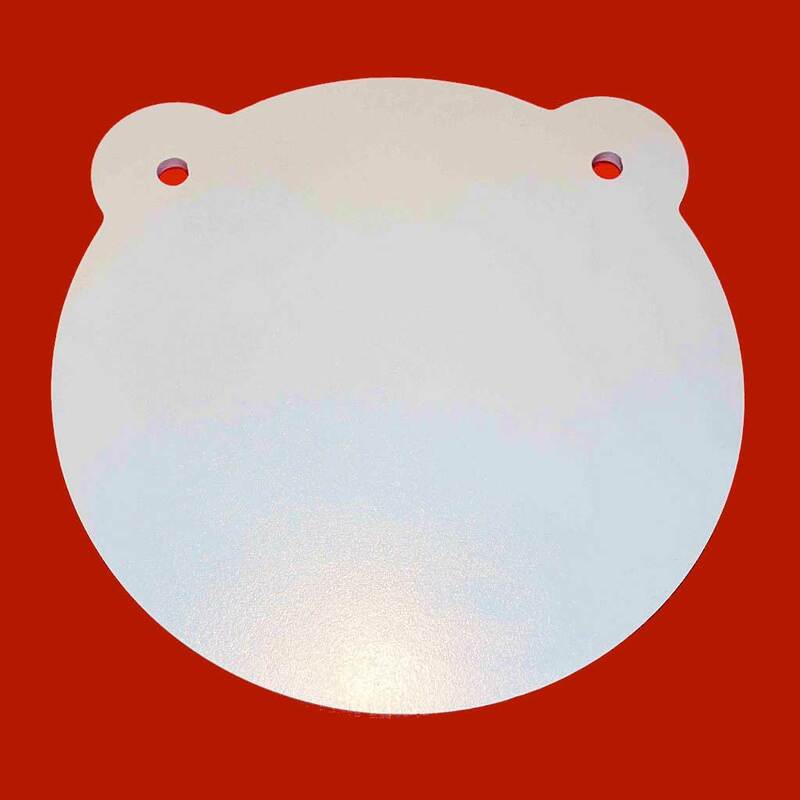 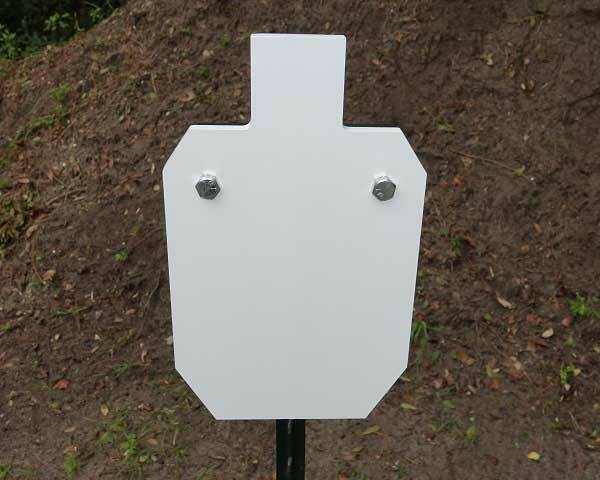 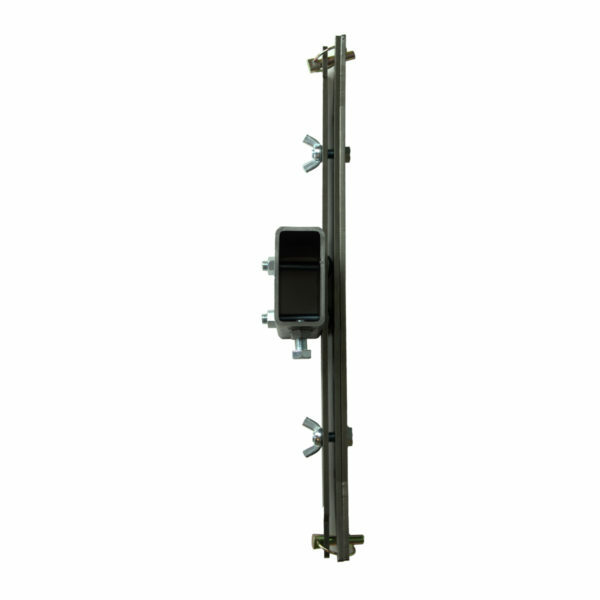 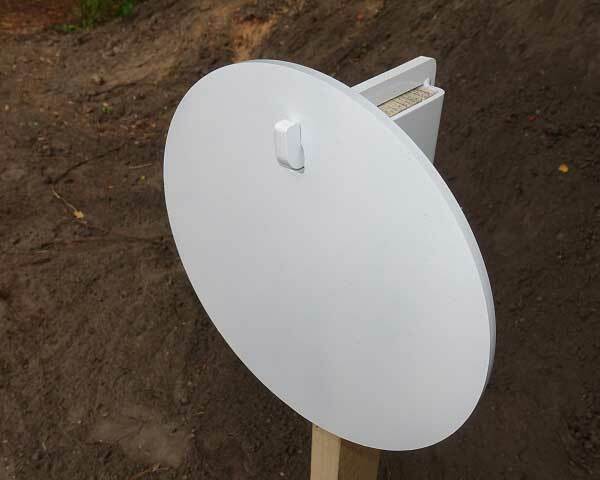 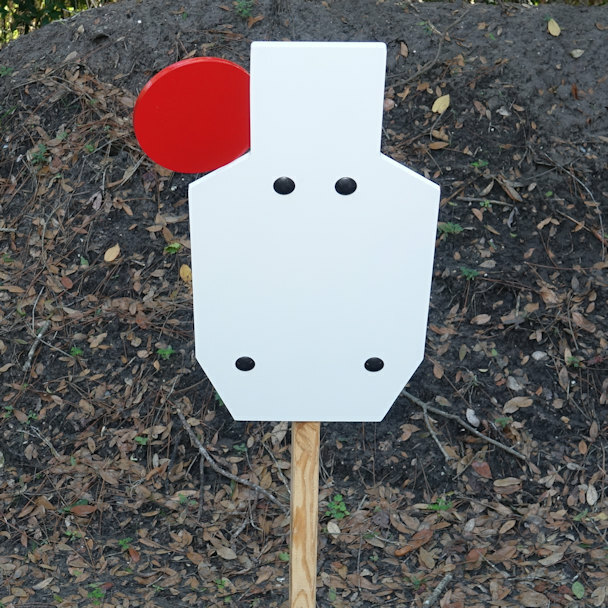 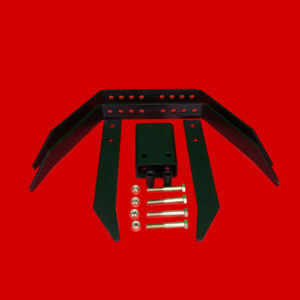 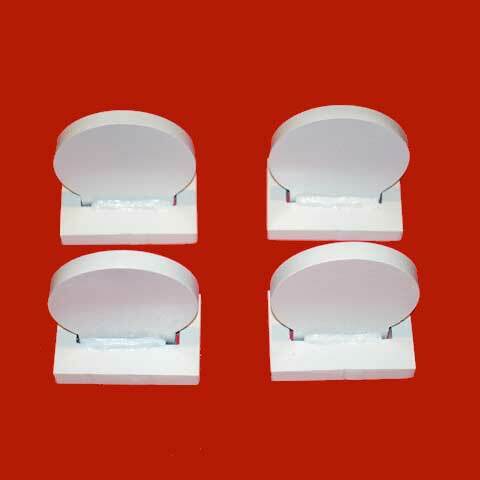 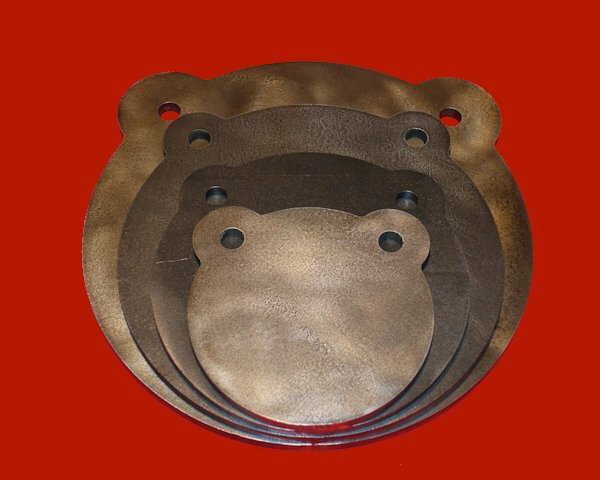 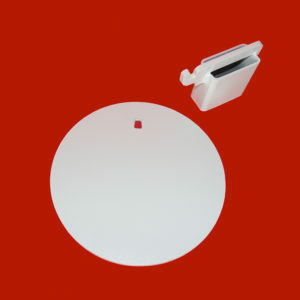 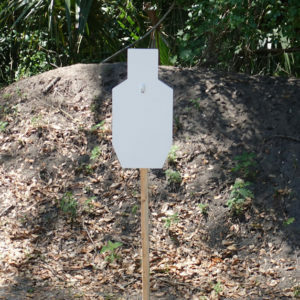 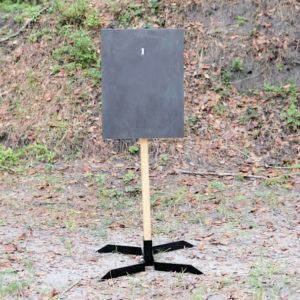 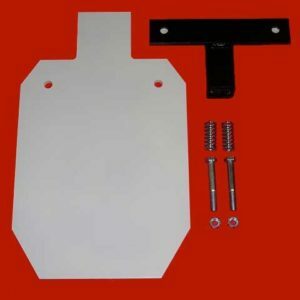 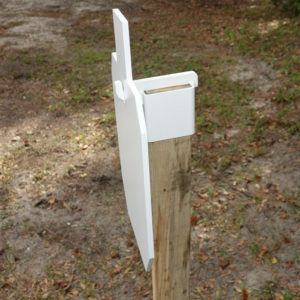 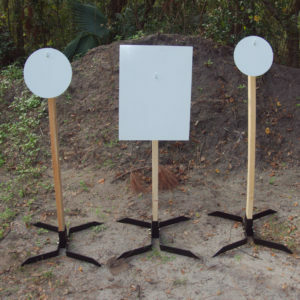 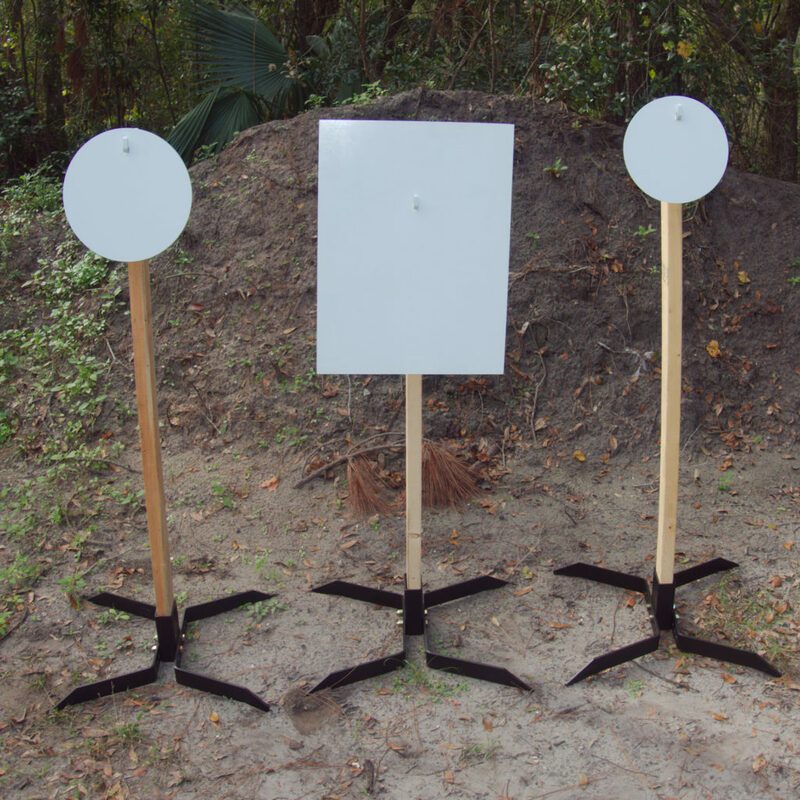 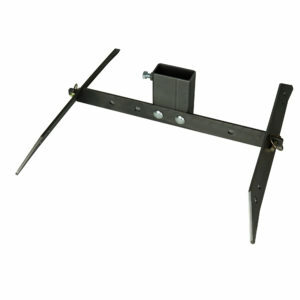 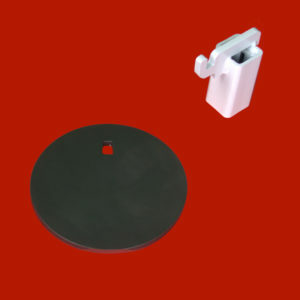 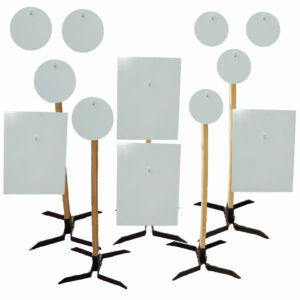 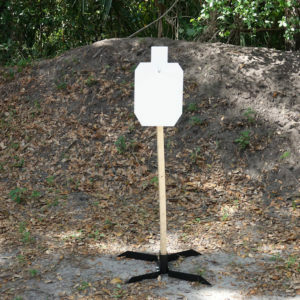 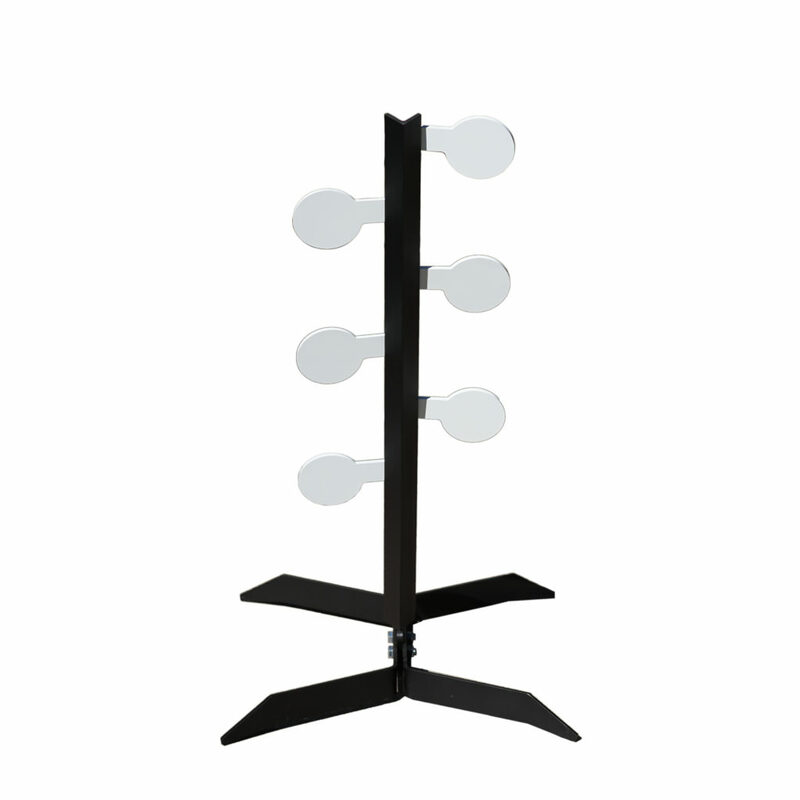 We also offer a Heavy Duty 2×4 Target Stand that is heavier and gives greater stability.